Bath is a historically significant city with Roman remains and beautiful regency architecture. It is situated in the south west region of England and is about 25 miles from the coast. Bath city has a population of about 84,000. Bath is near Bristol airport which has many European destinations, but not direct intercontinental flights. The nearest major airports offering intercontinental flights are Birmingham and Heathrow. Heathrow is just over 100 miles away and Birmingham is 107 miles away. The average temperature in December/January is 6 degrees centigrade and in July is 18 degrees. Bath is situated close to major cities such as Bristol which is less than 30 miles away and London which is just over 100 miles away. Bath University was granted university status in 1966, but it can trace its roots back to the Bristol Trade school that was established in 1856. By 1960 the school had become the Bristol College of Science and Technology. Due to no further land being available on the existing site in Bristol, the college moved to Bath in 1965. The Bath university campus is situated about 1 and a half miles from the city centre on Claverton Down. There is a regular bus service that runs from the city centre to the university. A commercial bus service operates buses to and from the university until 3am. University of Bath is ranked between 201-250th in the Times higher Education World university rankings. Bath is also ranked between 401-500 in the Shanghai Jaio Tong University rankings. Bath is not a member of the Russell Group of universities. 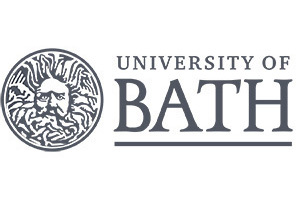 University of Bath is ranked =36th in the National Student Survey Satisfaction rankings. Over 25% of Bath’s students come from outside the UK and come from over 100 countries. There are just over 15,000 students studying at Bath. Approximately 9,000 are undergraduates and 6,000 are postgraduates. 90.7% of Bath graduates were in work or involved in further study – (source HESA ). A breakdown of post-graduation employment by course, showing the split into professional/managerial positions, rather than general employment figures, is available from Unistats an independent source of university data. For more information, please visit the REF Information page. Bath is recognised for its sports facilities. It has an Olympic sized swimming pool , indoor and outdoor tennis courts, all weather pitches and athletics track, and has a Sports Training Village that is home to a number of elite, british athletes. On the eastern side of the campus is the ICIA Arts Complex including a theatre. There are over 4,000 places available in university owned accommodation. Two thirds of the accommodation is based on campus. Off campus accommodation is 2 km from the campus and there is a bus service to and from campus. The university accommodation contracts run for 38 weeks per year. There is a 100% restriction on motor car ownership if your child is a university resident. Prices reflect the facilities in the rooms, some are en-suite, some have a washbasin, but shared bathrooms, and all university accommodation is self catered with a shared kitchen. The lowest price for a single room with shared bathroom and kitchen facilities is £98.00 per week. An example price for catered accommodation is £125.30 per week at Polden Court. 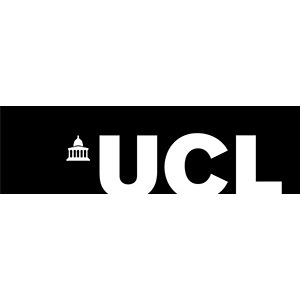 Fees for full time undergraduate courses start at £16,600 for Arts & Humanities subjects, rising to £20,700 for all science and engineering courses. Bath currently offers no undergraduate online degree programmes, but does offer a range of online/distance learning postgraduate courses including; a range of diplomas and masters courses in Health Practice/Exercise Medicine/Sports Physiotherapy, plus MSc/PG diplomas in various Engineering/Pharmacy and Pharmacology courses.